Do you want a fun review of algebraic expressions and algebraic equations? Get your students excited about algebraic expressions and equations with coloring! Are you ready for February 14th? 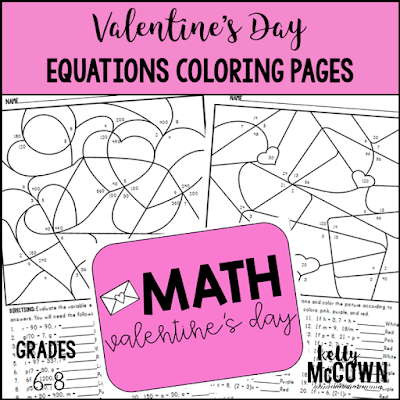 These Valentine's Day Algebraic Expressions & Equations Coloring Pages feature different colors with Valentine's Day and non-Valentine's Day colors. These coloring pages are a great way to practice algebra skills for class work, homework, or fast finishers! *Engage your students in Math for February! 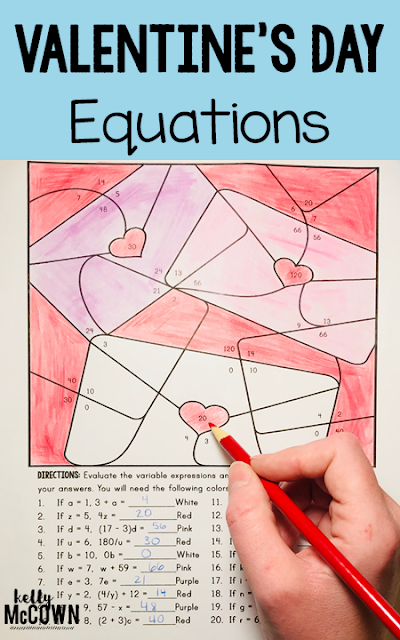 Get your students artistically involved in math and have fun on Valentine's Day. Reviewing algebra skills for fluency is always helpful. Students enjoy coloring and challenging puzzles to solve any time of the year. Valentine's Day is a great time to continue to build relationships with students and have them actively involved in the learning process.